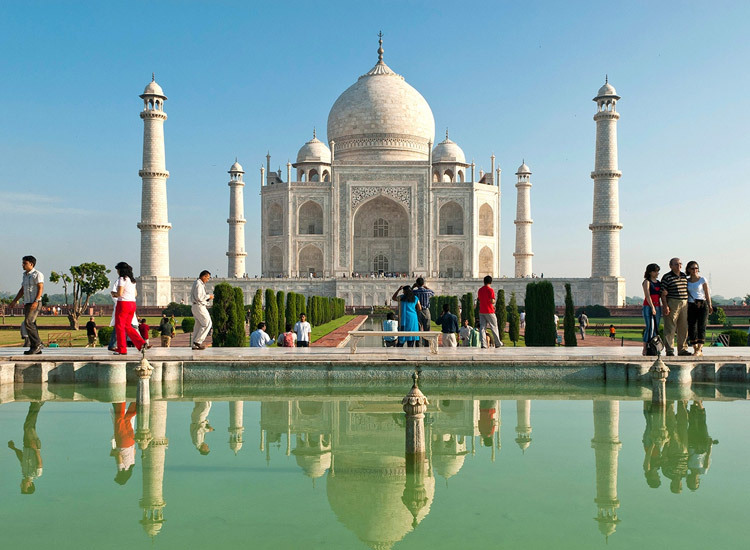 One way of experiencing the wonder that is India, is embarking on a Golden Triangle Tour. The Golden Triangle Tour of India comprises the cities of the north-western parts of India, namely, Delhi, Agra and Jaipur. When viewed on a map, these three cities resemble an equilateral triangle. While Delhi is a wonderful combination of the traditional with the modern, Agra charms a visitor with its splendid medieval architecture. 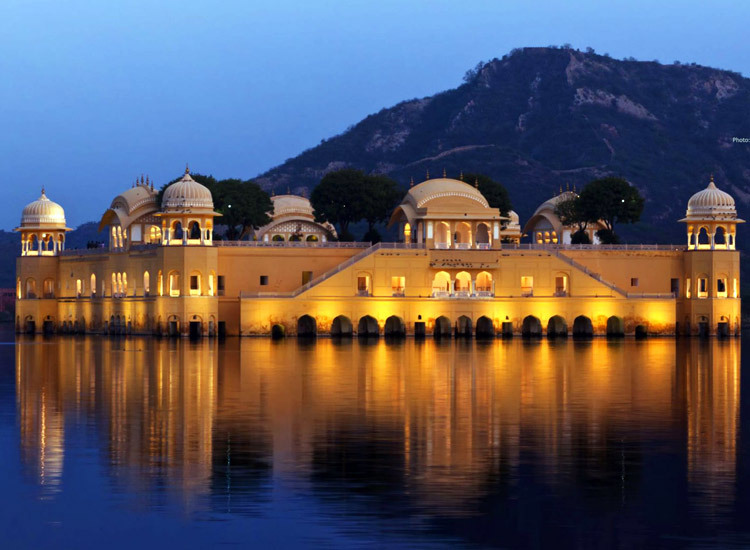 Jaipur, of course, is renowned for its marvellous palaces and forts. With that in mind, here’s presenting a complete travel guide to Golden Triangle Tour India, the perfect way of exploring India’s golden past. As mentioned earlier, the Golden Triangle comprises the cities of Delhi, Agra and Jaipur, all belonging to the north-western part of India. When viewed on a map, they resemble an equilateral triangle, and are located at a distance of about 200-250km from each other. This triangle has been called golden because all the three cities contained in it are repositories of wealth, heritage and culture. Well, for starters, the three cities covered by the Golden Triangle Tour India, offer a chance to discover the varied charms and fascinations of India. While Delhi, the sprawling capital of India, is all about its street life, its roadside eateries, glitzy malls and historical monuments, Agra prides itself on the marble wonder, the Taj Mahal, besides other fabulous Mughal architectures. Jaipur charms visitors with its regal palaces and majestic forts. The Delhi, Agra and Jaipur tour offers you the opportunity of exploring the history and legacy of the past, while experiencing the best that every city has to offer. Let us take a look in brief at the various attractions that each of these cities have to offer. 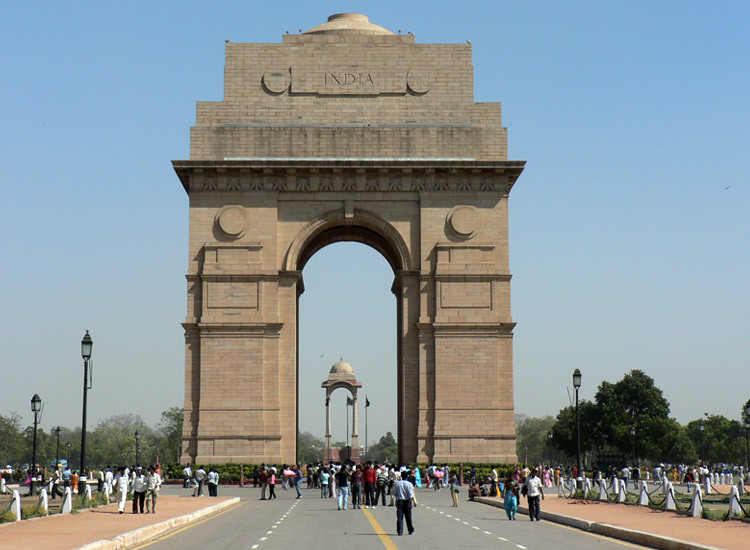 Delhi is basically divided into two main parts, Old Delhi and New Delhi, and each part holds its own attractions. Old Delhi is famous for its long winding lanes that are flanked by shops selling every kind of consumer items, ranging from sari, leather products and handicrafts to jewellery. The most popular market here is Chandni Chowk. The main attractions here are the Jama Masjid, the largest mosque in India, Delhi Gate and the massive Red Fort. New Delhi is distinguishable from Old Delhi by its well-paved broad roads, glamorous shopping malls and bustling market areas like Sarojini Nagar, Kamla Nagar Market and Lajpat Nagar. Here, one can find British era structures like Parliament House, President’s House, India Gate and Connaught Place. The magnificent Humayun’s Tomb, a UNESCO World Heritage Site, is another famous monument from the Mughal era. Of course, if there is something that this city is synonymous with, it’s the Taj Mahal, one of the Seven Wonders of the World. Some of the other famous structures are Agra Fort (World Heritage Site), Akbar’s Tomb at Sikandra, Tomb of Itimad –Ud –Dualah and Fatehpur Sikri, a wonderful palatial complex. Once there, do not forget to taste the famous delicacy of Agra, known as the “Petha” – a sweet made of white pumpkin. Some of the best marketplaces for shopping are Shah Market, Kinnari Bazaar and Sanjay Place. 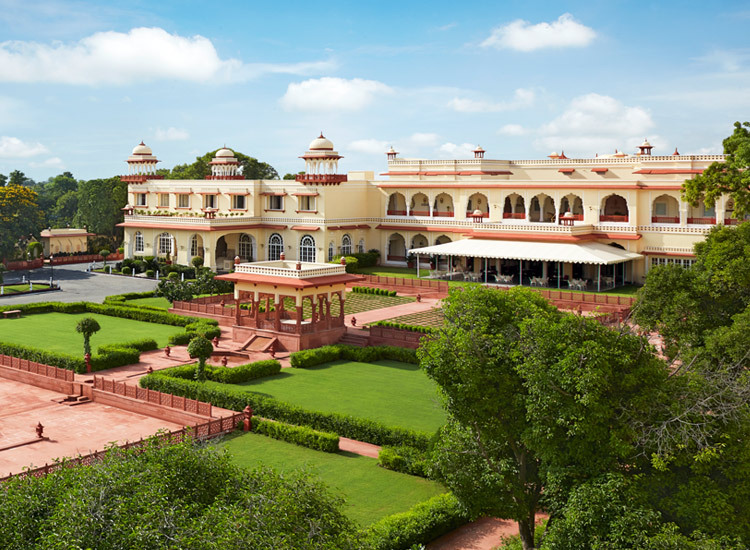 In Jaipur, the largest city and capital of Rajasthan, one finds royalty abounding everywhere. Apart from the City Palace, the other attractions of the city are Hawa Mahal, Nahargarh Fort, Amber Fort and Jaigarh Fort. Some other places worth checking out are Jantar Mantar Observatory, a World Heritage Site and Albert Hall Museum. The Rajasthani cuisine will delight your senses, with its specialties like Dal Baati Churma and Ghewar. To complete your experience, pay a visit to Ranthambore Tiger Reserve and National Park, located about 140km from Jaipur. Finding proper accommodation is another concern for people taking the India Golden Triangle Tour. However, there is a range of accommodations available in the cities of Delhi, Agra and Jaipur. From 5-star luxury hotels to mid-range hotels, you can choose your accommodation according to your budget. Apart from this, one also has the option of staying in a heritage hotel, where a guest experiences the lifestyle and comforts of the Maharajas. There are many ways of getting around these cities. One of these is catching inter-city flights. However, another great way of travelling in India is through railways. The trains in India cover an enormous network, and one can always depend on them to take you anywhere. There are several classes of travel on the trains, from unreserved seats to air conditioned berths that offer meals and bedding. It’s important to book your ticket in advance. Online bookings can be made two months in advance. Other modes of transportation are cars and buses. With cars, you can make multi stops and always have the advantage of flexibility. It’s always advisable to travel in air conditioned deluxe buses, because they are known for being more punctual than the regular ones. There are several airlines operating daily flights to India. Some of them are Air India, British Airways, Jet Airways and Virgin Atlantic. These flights operate daily from London Heathrow airport to Delhi nonstop. To avoid getting an upset stomach, opt for bottled water anywhere for go. Always carry water-purifying tablets with you, and avoid drinking the same water as the Indians. Follow these tips, and you will enjoy every part of your stay. To make your journey more enjoyable, comfortable and hassle-free, choose from a variety of Golden Triangle tour packages available at Indian Holiday UK, and take away memories for a lifetime. A travel writer by profession possessing an avid interest in books, movies and music, Vishwajit Sharma believes that travelling is essentially discovering yourself. He hopes that, through his articles and write ups, the idea of travelling is aroused in everyone. Let the journey begin! 1 comment on "A Complete Travel Guide to Golden Triangle Tour India"
Thank You very Much For sharing this valuable information.Golden Triangle is Just amazing tour all in one. Your Article is really Helpful for first time Travellers. Indianholiday.uk © 2019. All Rights Reserved.